Title page of Kitser sholem aleykhem (The Abbreviated Sholem Aleichem), published in Buenos Aires in 1953. In an effort to pool the wisdom and questions acquired from our contributors’ work in the classroom, In geveb regularly polls Yiddish instructors on topics related to Yiddish pedagogy. The responses to these polls offer a cross-section of the opinions, approaches, and experiences of instructors from Los Angeles to Tel Aviv, from children’s programs to university classes to continuing education courses, from new teachers to those with a lifetime of experience. If you want to share your opinion on the topic presented below, please do so! We may publish an addendum with new responses. 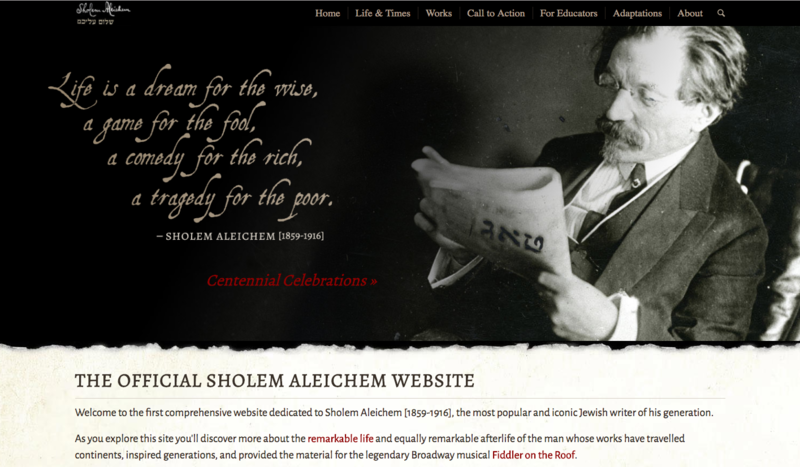 Sholem Aleichem is likely the most widely-taught and well-known Yiddish writer in the world. 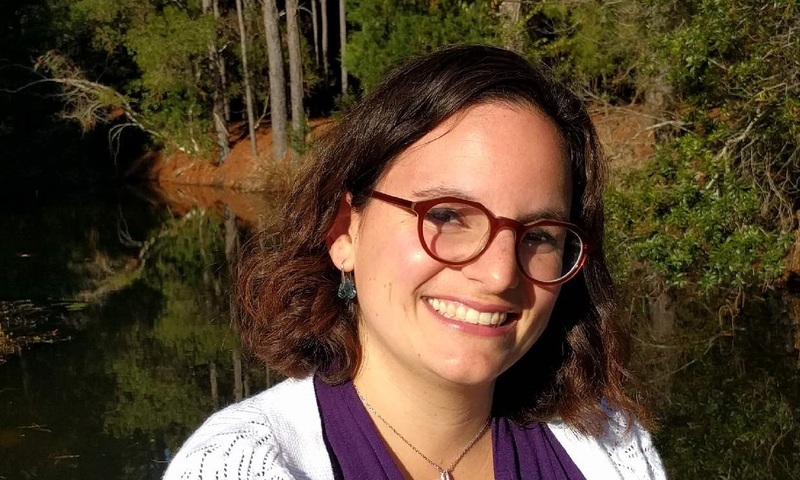 Instructors of history, language and literature draw on his works for ethnographic and linguistic content, to teach about the development of Yiddish fiction, and to demonstrate the way modern Yiddish literature developed in a context of rapid change. Lately, it seems, resources about teaching with Sholem Aleichem abound. From the syllabi and interactive maps and timelines on SholemAleichem.org, a collaborative digital project we profiled, to a resource kit on Tevye from the Teach Great Jewish Books site of the Yiddish Book Center, to lessons from Tam: A Taste of Jewish Culture by KlezCalifornia targeted at teens, there seems to be a growing number of publicly available creative ideas for the Yiddish Studies classroom at all levels. So we asked our readers (we begged them!) to tell us about their own classroom practices. To what end do they teach with Sholem Aleichem, and how? We are grateful to everyone who participated in the survey. We received responses from instructors who teach Sholem Aleichem in a variety of different courses, mostly in English translation, for undergraduate and graduate students. Some courses mentioned include: U. S. Jews and Popular Culture in the 20th Century; Introduction to East European Jewish Literature; Yiddish in New York; Poetry, Art, and Radical Politics; Spirit Possession in Yiddish Literature; Humor in Jewish Literatures, Identities, and Cultures; Modern Jewish Literature; Modern Jewish History; Yiddish Literature and Culture in Europe; Yiddish Literature and Culture in America; Jewish Children’s Literature. Instructors teaching with literature by Sholem Aleichem usually incorporate some biographical information into their instruction. Saul Noam Zaritt (Harvard University) begins with In geveb’s listicle about the best dressed Yiddish writers to introduce the contrast between Sholem Aleichem’s persona and the actual Russified Sholem Rabinovich. Many teachers, including Zaritt, assign or draw from the YIVO Encyclopedia article on Sholem Aleichem by Dan Miron. Elik Elhanan (City College of New York) explains that he sometimes asks a student to present about the author based on the YIVO article, while other instructors describe using slide presentations and videos to illustrate lectures based on the information from the YIVO encyclopedia entry. Instructors also mentioned filling out their biographical information with canonical secondary texts by Meir Wiener, Ruth Wisse, and Dan Miron. In addition to these suggestions, in my own teaching I have introduced segments from Sholem Aleichem’s autobiography From the Fair, even though it is not always a reliable source. 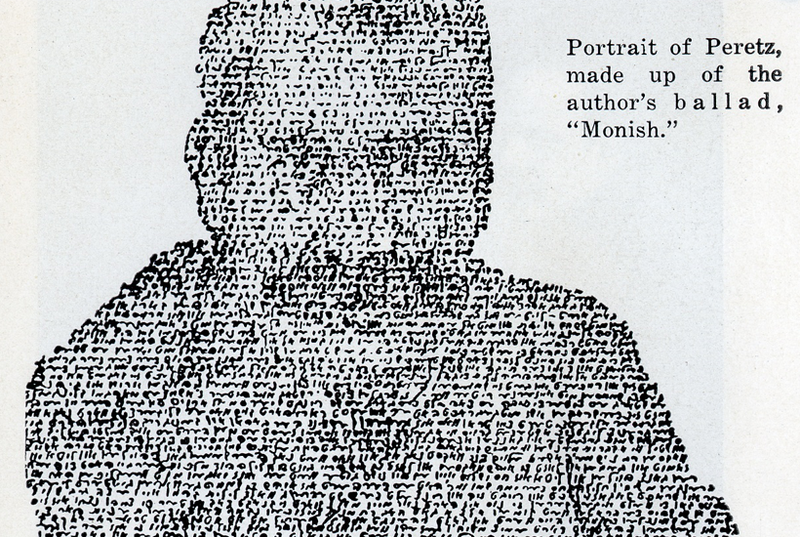 Instructors differed greatly as to the importance of teaching about Sholem Aleichem’s literary persona. Zaritt explains that “learning the function of the Sholem Aleichem “persona” (as presented by Dan Miron in A Traveler Disguised) is key to any class I might lead on Sholem Aleichem” and other instructors agree that the Sholem Aleichem persona is central to their conversation and teaching. Others, however, “try to avoid” discussing the persona or find it less important in the case of Sholem Aleichem as it is when they cover Mendele Moykher Sforim. Hollander explains that he used to teach with Menakhem Mendl (The Letters of Menachem Mendl and Sheyna Sheyndl) to illustrate “the breakdown of the shtetl and the development of a more topsy-turvy East European Jewish life” but ultimately switched texts because “students found the stock market sections of Menakhem Mendl confusing and the cycle highly repetitive.” More recently he teaches stories from the Ayznban geshikhtes (Railroad Stories), focusing on “Der mensh fun buenos yyres” (“The Man from Buenos Aires”) and “A nisref” (“Burnt Out”). He uses these to illustrate the “weakening of Jewish bonds and a sense of trepidation about the future.” He also teaches the monologues “Dos tepl” (“The Pot”) and “Yoysef” (“Joseph”) in a course on Yiddish Literature and Culture in Europe and Motl pesi dem khazns (Motl the Cantor’s Son) in a course on Yiddish Literature and Culture in America. He finds Motl particularly helpful to illustrate both the push factors that motivated Jewish migration and “the renewed significance of Jewish heritage in America for those attempting to succeed there.” In his discussions of the Railroad Stories and the monologues, Hollander finds Victor Ehrlich’s discussion of monologue to be useful. 1 1 See Victor Ehrlich, “A Note on the Monologue as a Literary Form: Sholem Aleichem’s Monologn—A Test Case,” in For Max Weinreich on His Seventieth Birthday, The Hague : Mouton, 1964, 44–50. 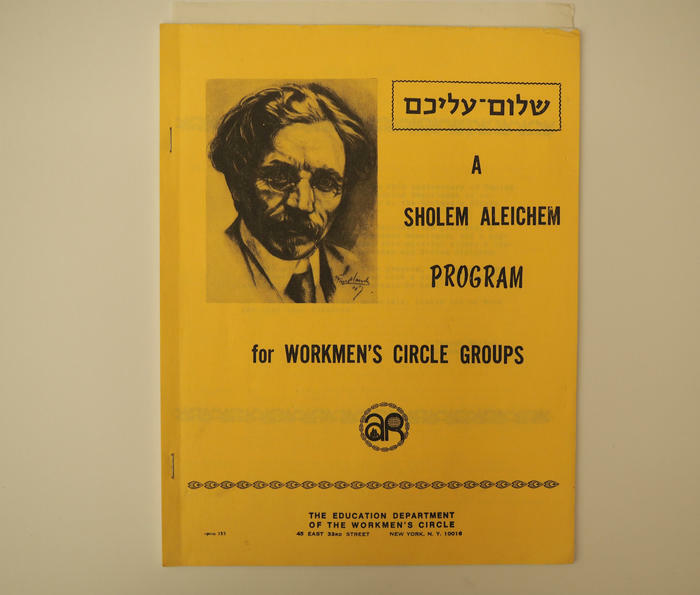 Workmen’s Circle Guide to Sholem Aleichem on the fiftieth anniversary of his passing, via the Yiddish Book Center’s enormously helpful Finding Aid to Sholem Aleichem. I have taught Sholem Aleichem in high school as well as university classrooms and to adult learners in synagogues. Because of the needs of these different levels and settings, I have developed strategies and worksheets that are perhaps less typical of the university setting. I share some of them here. Here at In geveb, we are eager to learn from those who are teaching Yiddish texts and subject matter, as well as to create new resources for teachers to use, and to build a durable digital archive of pedagogical materials for teachers to work with. How do you teach materials from or relating to Yiddish? We hope you’ll share a lesson plan, syllabus, or activity you’ve designed! And, you can participate in our next poll, which we will be announcing in the coming weeks. See Victor Ehrlich, “A Note on the Monologue as a Literary Form: Sholem Aleichem's Monologn—A Test Case,” in For Max Weinreich on His Seventieth Birthday, The Hague : Mouton, 1964, 44–50. Kirzane, Jessica. “לויט די לערערס | Teachers Weigh In: Teaching with Sholem Aleichem.” In geveb, April 2018: https://ingeveb.org/pedagogy/teaching-with-sholem-aleichem. Kirzane, Jessica. 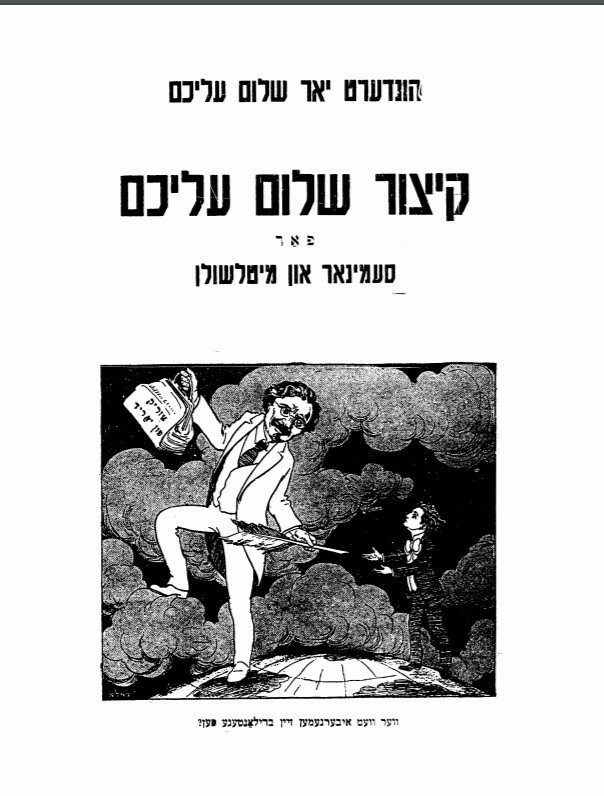 “לויט די לערערס | Teachers Weigh In: Teaching with Sholem Aleichem.” In geveb (April 2018): Accessed Apr 21, 2019.